All 1968 Shelbys were built on Ford's Meutchen, New Jersey Assembly line. 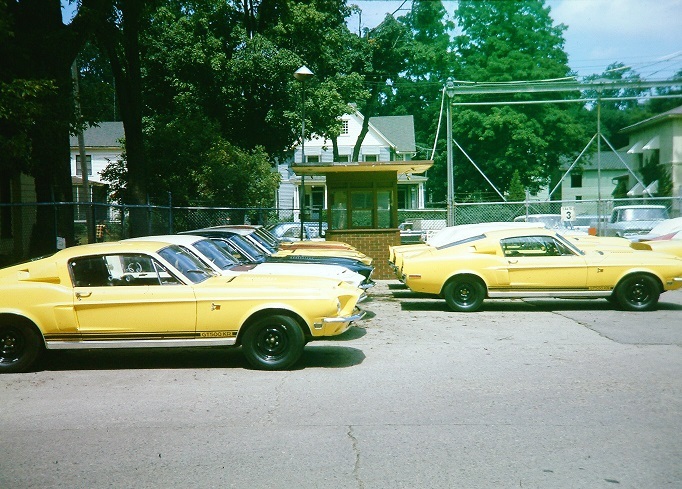 The semi completed cars were sent to Ionia, Michigan for conversion to 1968 Shelbys. Ionia is small town in central Michigan. It is approximately 130 miles northwest of Dearborn. 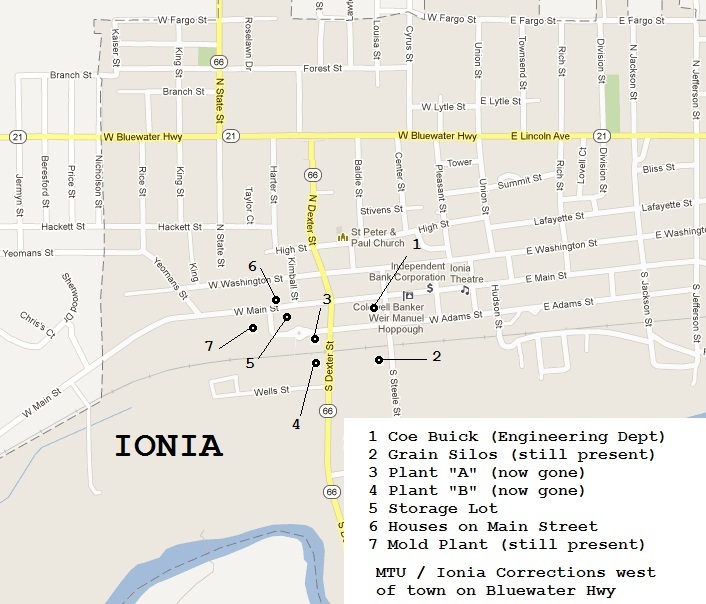 This map shows various sites around Ionia related to Shelby production. Let's take a look around. 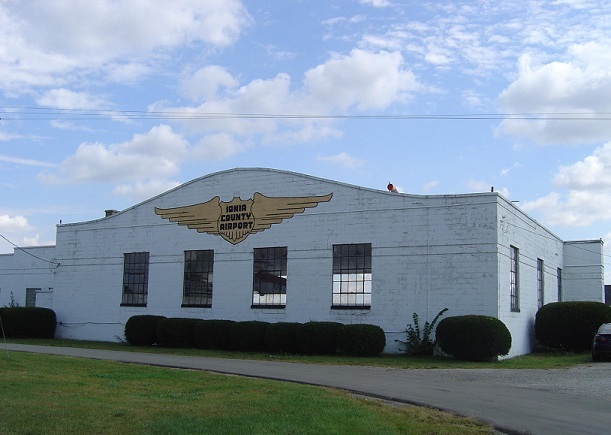 This building was used by Shelby Engineers. 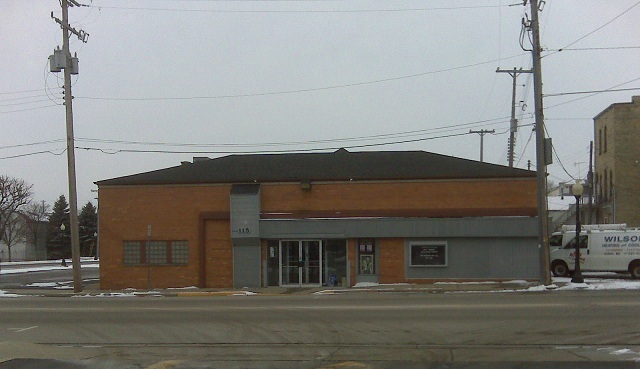 It was a former Buick dealership and later the Knights of Columbus Hall. These grain elevators near the rail road tracks are still visible today. Rail cars with semi-complete Shelbys arrive from the New Jersey Assembly plant. There were fifteen Mustangs on each rail car. The actual assembly plant is now gone. It was comprised of two buildings. They were simply called Building "A" and Building "B". The company had a rich history dating back to the turn of the century. They started making carriges, furniture and later automotive products. 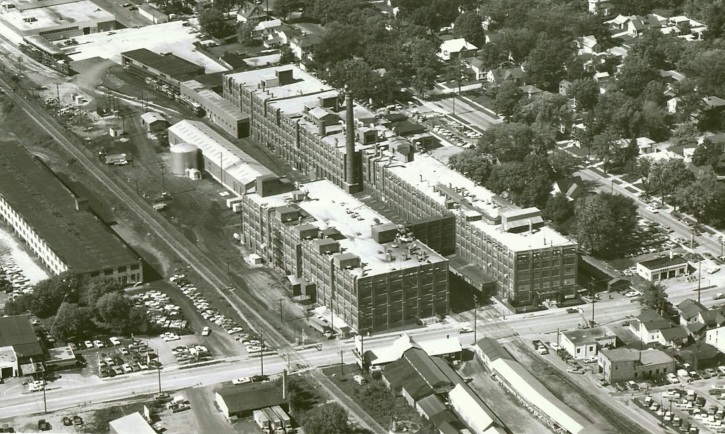 It was Smith's work with fiberglass/plastics that helped attract Shelby. 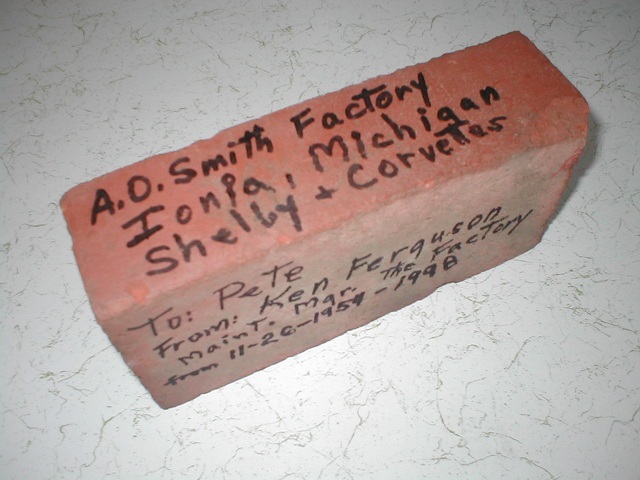 This is one of the last remaining bricks from the AO Smith buildings. It was sent to me by my friend, Ken Ferguson, a former assembly line worker. The storage lots adjacent to the plant once kept hundreds of brand new 1968 Shelbys. Just south of town is the Ionia Airport. Shelby used the airport for occasional test runs. Later, they would also store cars here. In late 1969, Smith decided dealing with Ford and Shelby was too much. They declined the offer to produce the new models. While many people believe Shelby pulled the plug, it was actually Smith. 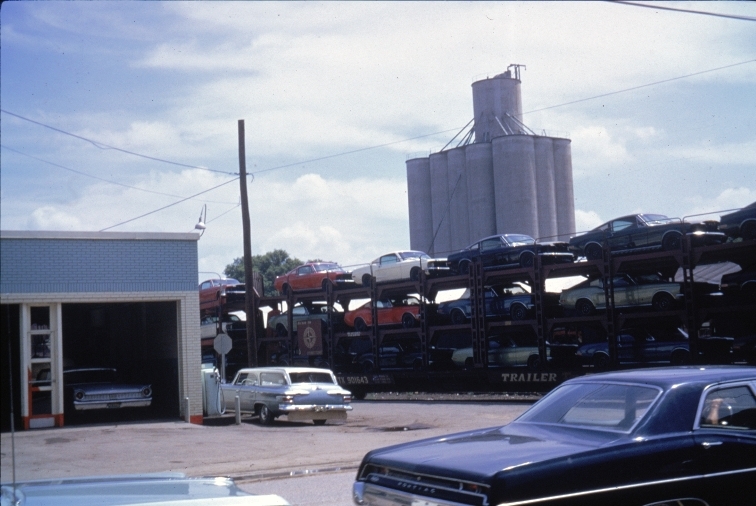 The remaining 1969 Models were shipped 85 miles to Kar Kraft in Brighton, Michigan. They were updated to "1970" specifications and the program was shut down.